If you ask a typical insurance agent why you need insurance, you might hear a typical answer. But, there is more to insurance than protecting your stuff. Insurance protects what matters in your life - your well-being. Having the right insurance protection plan in place means your family doesn’t have to worry when times get tough. Working with an independent insurance agent is the best way to make sure you buy the insurance your family needs. Why do I need to switch to an independent agent? Here are the top seven reasons you need to move to an independent insurance agency today. Independent insurance agents represent multiple companies, which mean they can offer more than one quote. Having options assures you get access to a company that meets your existing and future needs. Captive agents represent one company and often force you to buy a cookie cutter policy that doesn’t always represent your best interests. Do you own a home, vehicle, rental property, and business or do you need life insurance? Independent agents offer a wide variety of insurance plans which means you don’t have to choose one agent for your personal needs and another for your business needs. Independent insurance agents fight for you and always look out for your best interests. If an insurance company doesn’t fully understand what you need, the agent makes sure they are aware. After your policy is in place, they are your go-to contact for concerns or changes and work with the company to ensure you are properly protected. They are committed to your community. Local independent insurance agents are committed to the same community as you. They work in it every day, know the residents, and actively support other businesses and nonprofits. Chances are if you attend a fundraiser, an independent agent is there showing their support. By law, insurance agents need to be licensed. Independent agents are knowledgeable about insurance terms, coverages, and risk management ideas. They can help break down the complicated concepts and make sure you fully understand what you need to have in place. You can actually talk to them. 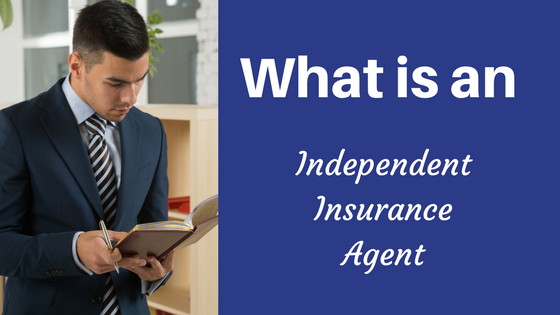 Independent agents are local and readily available to answer questions and provide guidance. You don’t have to call a toll-free number and wait on hold for extended periods of time. And you don’t have to navigate a long and difficult online application either. Shopping for the right insurance takes time. Independent agents know your time is valuable. Once they gather the necessary information, they complete the applications, communicate with the company, and find the best coverage available in your budget. Doing all of that on your own requires meeting with more than one agent, providing the same information multiple times, and combing through the fine print on each policy. Shopping for insurance shouldn’t be treated the same as shopping online for clothes or groceries. Don’t focus on price by falling victim to big marketing budgets that promise significant savings. Pick an independent insurance agent today to save you time and give you comfort that someone is looking out for you. Rumbaugh Insurance Agency is located in Hanover, PA and has been serving the Hanover, Spring Grove, Gettysburg, and New Oxford area for more than thirty years. Call us today at (717)632-6001 to set up a free insurance review and see first-hand why your neighbors already work with us. Request a free insurance review from one of our customer-focused agents today.